I haven't been wearing my hair straight very often of late and that's mostly been down to the weather and longevity of my hair staying straight. 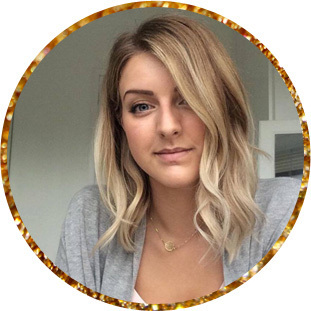 Normally when I straighten my hair it bounces back up again within minutes of leaving the house, I've tried all sorts to prevent this from happening from hairspray to hair masks and extra special heat protection sprays nothing has worked in my favour. At least until now. I'm super excited about this product because it has allowed me to have a different hair style during colder months besides my usual natural messy waves. 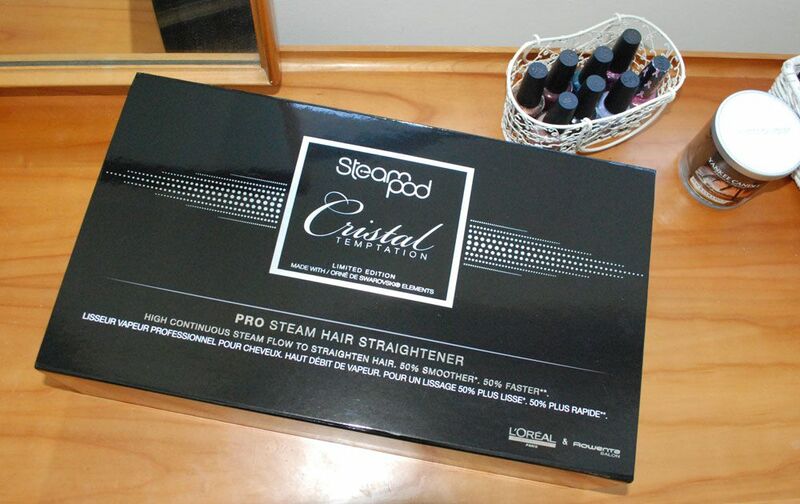 The SteamPod pro steam hair straightener is different because it combines the use of both ceramic plates and steam to not only straighten hair but treat it as well. The pure steam is said to nourish damaged hair and rehydrate it. 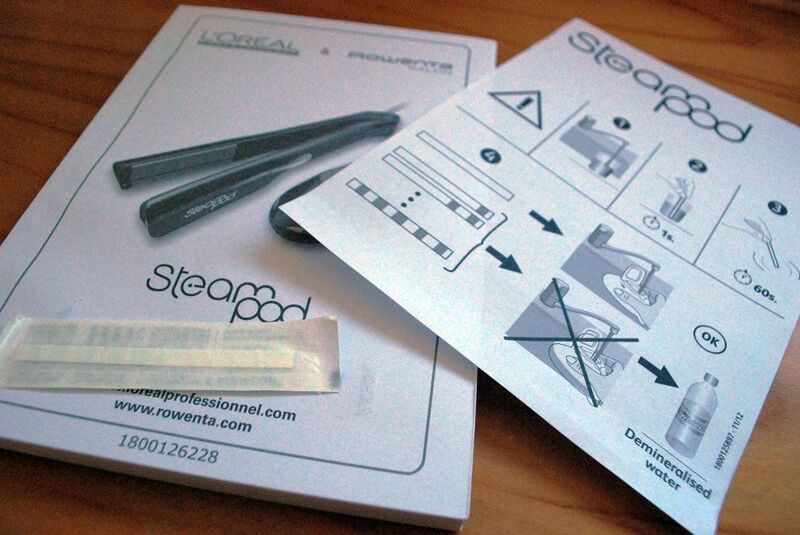 I feel a difference after using the SteamPod twice in two weeks, each time it looked healthier, smoother and felt so much better. Bonus to all that I discovered that I can go much longer without styling my hair, to test out just how long I straightened my hair using the SteamPod last Monday and then left it. I stayed away from all products and only brushed it every now and again right through until thursday morning and whilst I could had thrown some dry shampoo to my pretty straight style I decided 4 days was enough to prove a point of how long this straight hair style actually lasts. Consider me impressed. 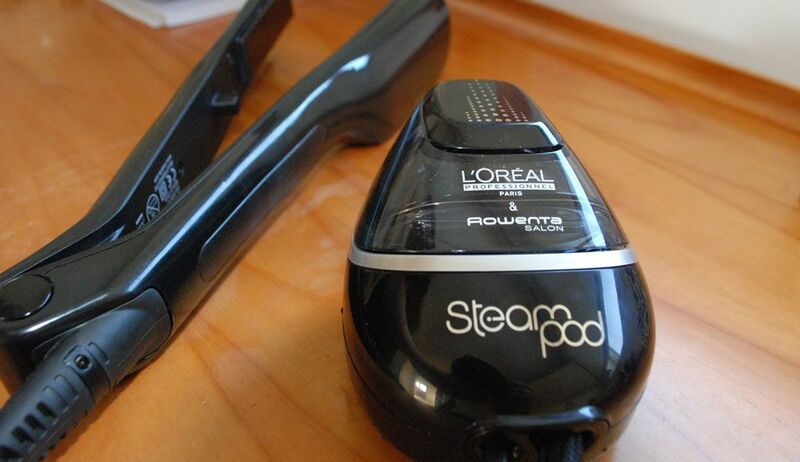 We look to Google and therefore Youtube for so much these days and because I wanted to see how other people were using the SteamPod before trying it for myself I had a little mooch around and found a selection of review posts by youtubers but also some tips videos from L'oreal themselves. 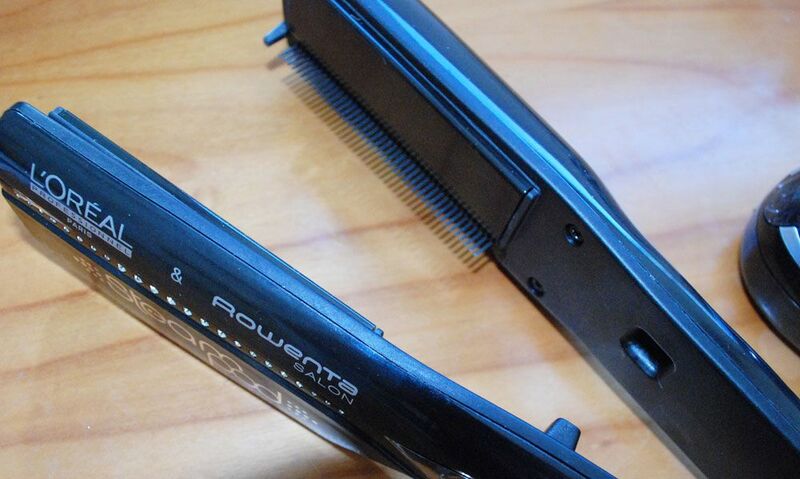 They've uploaded SteamPod tips as well as a selection of hair styling videos which have left me wanting to try some different looks by removing the comb. 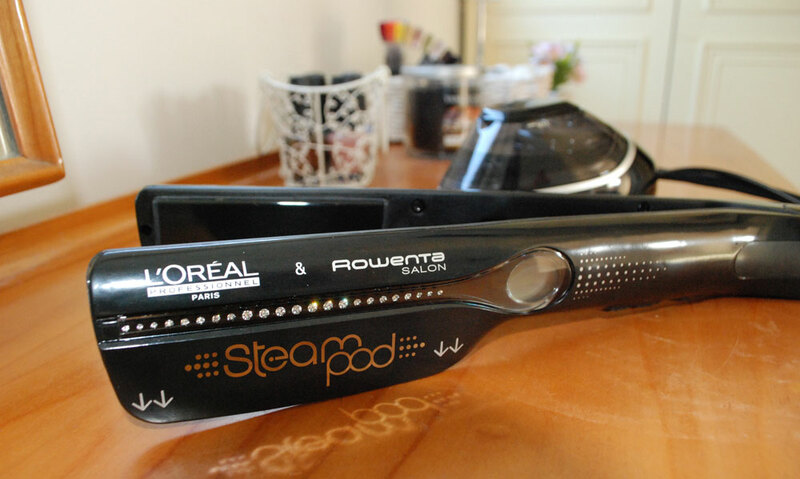 The SteamPod isn't your average hair straightener, it was developed by L'oreal Professional and Rowenta Salon Electricals and currently has a selection of patents pending. 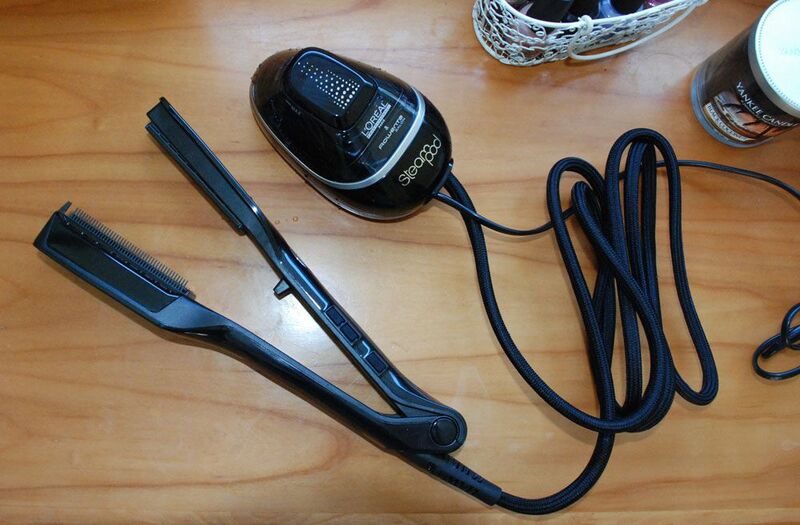 Aside from that and the improved finish and quality of my hair the actual styling tool is bigger, has more attached to it and has different care requirements. The box it comes in is pretty huge so as of yet I'm not sure where to store it - I should probably just have a sort-out of my dressing room. The pod that you pop water into is easily detached from the system and must be removed before filling with the right water. And by 'the right water' I mean water that is suitable for use in the SteamPod, I think this has something to do with impurities and possibly avoiding any limescale build up but that's just a guess. L'oreal include a handy testing strip for you to run under the tap and see if it's okay to use, otherwise bottled water is recommended. 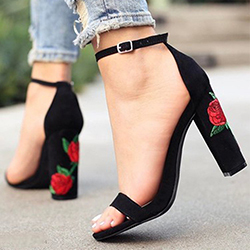 For sale on both LookFantastic and FeelUnique. Let me know if you get one, I'd love to hear what you think.